I can see your A-Z is going to make me hungry, very hungry! This sounds yummy – so fitting! Thanks for stopping by. I'm glad you won't have to throw it away. I grow it too. You are welcome. I hope you like it. As well as give you some good ideas, I hope. Ooh, I love cilantro. And it's very good for you. Thanks for the recipe! Wow. I want to try this. I think I've seen something like this on Food Network during Guy Fieri's DDD program. It was used as a marinade for pork chop and then grilled. Yummy! Thanks for sharing! i can't believe i have never tried this–sounds good! Yum! I LOVE cilantro — and coriander too. I had no idea they were related, though, until a cousin of mine who's a professional chef came to visit me and asked for coriander while cooking some absurdly delicious thing. He meant what I thought of as cilantro. A heated debate and a google search later and we had your explanation, thought from a different source that did not have nearly so tasty a recipe attached! Will this work well with fish? You're right, it is pretty healthy. Enjoy! I watch that show sometimes. I don't remember that one though. I love marinades. If you ever try growing your own cilantro and it flowers, you will end up with a lot of coriander seeds. Two different tastes from one plant is amazing. I have never tried it on fish. I think it would work well with catfish or another stronger tasting fish. I think the sauce might overwhelm the milder tasting types of fish. This sounds great! Can't wait to try. sounds super yummy! 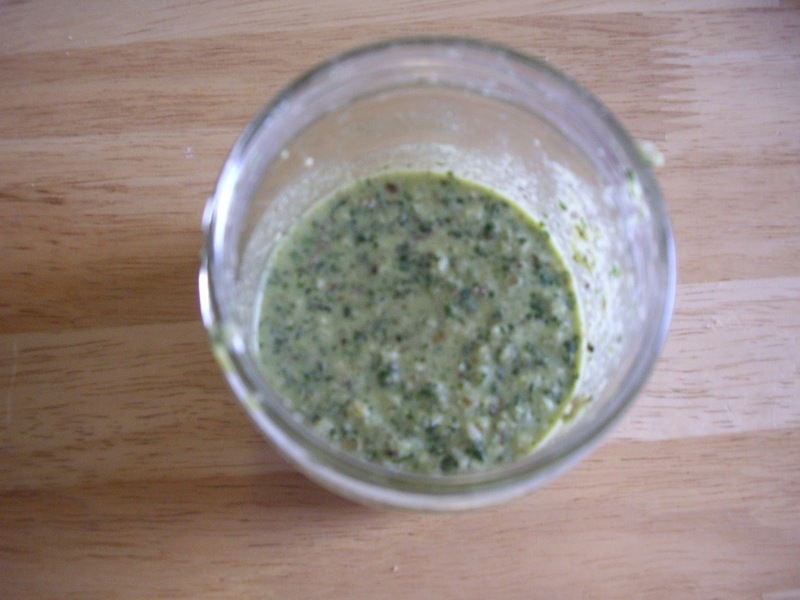 I usually just use some chopped cilantro as garnish, this will add a whole bunch more flavor, a sort of cilantro pesto. Thank you! This sounds delish, but am wondering if I can substitute cilantro for another herb? I react to cilantro in a crazy way, get a wee wacky and then crash. Not all a bad thing! Love your recipes here and nice to meet up on the A to Z! MMMmm, I love recipe blogs. I'm always looking for recipe ideas to serve my family. This one comes just in time for grilling season. Stopping in via the A-Z blogging challenge and decided to follow. It would be similar to that, yes. About the closest you could come would be flat leaf parsley. And maybe add a tiny bit more lemon juice. Thank you. If you look through the older recipes, you might find a few marinades or rubs that are great for grilling. Stopping by from the A to Z challenge! I'm just starting to experiment with sauces, this sounds great! You had me convinced at Kabob LOL!! Hi,mommasmeals. Thank you. I hope you enjoy it!